The City of Ridgeland, MS is an exciting, vibrant city of approximately 21,690 residents and it is just minutes from Jackson, MS. The City was incorporated in 1899 and for many years remained a quiet, small subburb nestled on the edge of the Ross Barnett Reservoir. The Ross Barnett Reservoir is a large water impoundment used to provide drinking water to the area and it also boasts good fishing, skiing, and other recreational water sports. In the late 1980's when people got the urge to re–discover small town living the population of Ridgeland exploded. Soon Ridgeland became densely populated and during the Christmas shopping season a very congested city. Local and national businesses began to move into the city following the new residents. 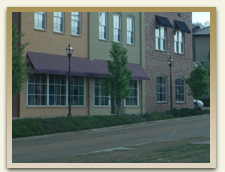 The median income of residents in the City of Ridgeland is currently $49,211.00. Over 93% of the residents in Ridgeland have a high school education and over 60% have a college education. The City of Ridgeland is known to have a good public school system. 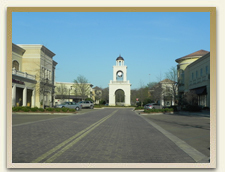 Ridgeland is currently home to North Park Mall, one of the primer shopping destinations in the Jackson meto area. 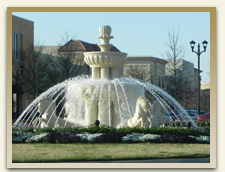 Recently an upscale outdoor shopping mall opened called Renassiance Shopping Center. Renassiance has a P.F. Chang's, Biaggio's Italian restaurant, Five Guys Hamburgers, and several other restaurants. It is home to numerous upscale stores such as Ann Taylor, Anthropology, Lucky, an Apple Store, and many others. Ridgeland continues its rapid growth with new businesses expanding along Highland Colony, a wide road built from Jackson to The City of Madison for the purpose of encouraging development. Coxwell & Associates is a boutique law firm with attorneys who are completely dedicated to their professions. The attorneys at Coxwell & Associates view the practice of law as a lifelong career and not a job. Each of the attorneys are residents of Mississippi who are devoutly interested in helping each and every client that is accepted by the firm. The firm does not engage in the general practice of law however each attorney has had a varied career and over the years they have each developed areas of practice. Though the attorneys at Coxwell & Associates will not accept every case they do listen thoughtfully and carefully to each client that calls or comes into the office. The attorneys respect people from all walks of life and if a cases is not accepted the attorneys will help the client find an attorney who works in the area of the client’s need. Merrida Coxwell is the Managing Partner of Coxwell & Associates. He is the driving force behind the firm and began his career handling some of the largest and most publicized criminal cases in Mississippi. Merrida dedicated substantial time to court appointed work, accepting 18 dead penalty cases from 1980 to 1993. In 1996 Chuck Mullins joined the firm as an attorney. With Mr. Mullins assistance the two began handling large, serious accident and injury cases, fighting class actions, taking on financial fraud cases for consumers, and they continued criminal trials and appeals. Frank Coxwell is Merrida’s older brother. Frank concentrates on financial fraud issues for consumers. Eric Brown has joined the firm as an associate. Eric works in the field of criminal defense. Each attorney at Coxwell & Associates will provide zealous, aggressive, and smart representation to the clients. Clients will be kept informed of the status of their case and the attorneys will be prepared for the trial or hearing. The Mission Statement of Coxwell & Associates is centered around the client’s needs and the ways the attorneys can meet those needs. From Ridgeland the easiest way to reach Coxwell & Associates is to get on Interstate 55 North, headed South. You will come into Jackson and take the High Street Exit. High Street is one of the two exits used by most people when they come to the Mississippi Fairgrounds and the State Fair. After taking the High Street Exit go to the right and continue up High Street until you come to North State Street. It is approximately four (4) traffic lights. 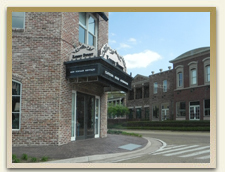 When you come to North State Street turn left and it will only be necessary to go a few hundred feet and on the left you will see the Historic Clifton–Burwell House, the office of Coxwell & Associates. The yard of the office is typically heavily planted with seasonal flowers and there is a black and white sign out front. As you come to the Coxwell & Associates office turn left on College Street. You will be able to park in the rear of the office on a clean, concrete parking slab. The entrance to the law firm is in the rear. Go up the steps and right the bell. A secretary or receptionist will allow you to enter and let the attorney know you are present for the appointment. If this is you first appointment you will be asked to fill out a brief information sheet.